The Death wet fly more commonly referred to as the White Death (In this case), or by placing a colour in front of the name Death. 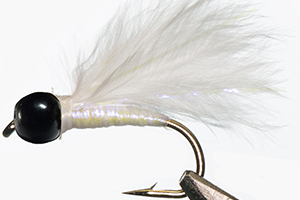 The White Death gets it’s name for a very good reason… On some days this fly will catch 20 fish, when other flies won’t even get a second look, never mind about a fish. The White Death is mainly a Trout fly, but also works for a variety of other freshwater fish species. In particular, the White Death has been responsible for many Bass, Barbel and Carp. During the stillwater Trout spawning season the range of Death flies come into their own. The White Death, as well as the orange and chartreuse variations, annoy many spawning fish into taking this fly. 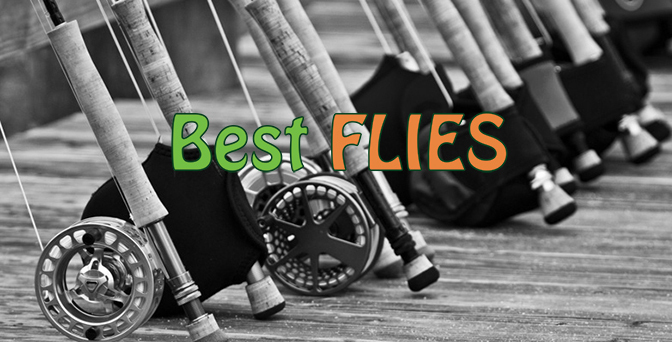 There is just something about this fly that get’s the fish either into a feeding mode, or just bugs them enough in order for the fish to commit to eating this fly.